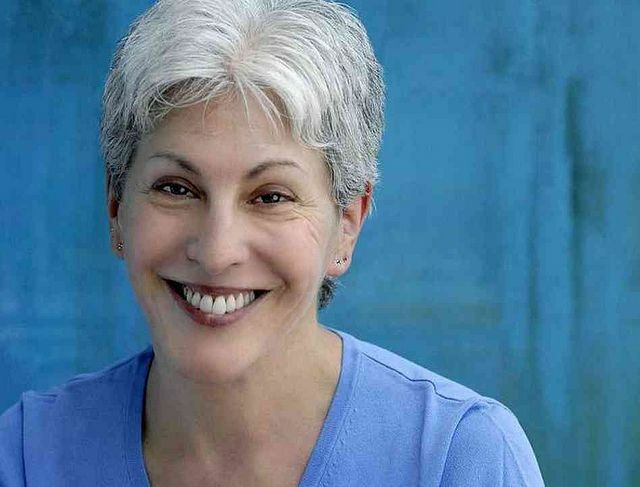 Today: Mollie Katzen discusses a new generation of vegetarian cooking. Thirty-five years since its original publication, copies of Mollie Katzen's Moosewood Cookbook still sit front and center on the shelves of vegetarian cooks, all worn pages full of her hand-lettered recipes and watercolor sketches. We cherish it; it is our comfort food, and Mollie our guide. But just as bell bottoms are no longer in style and nobody listens to the Hair soundtrack anymore (a shame), times have changed since Moosewood's arrival, and so too have Mollie's recipes. 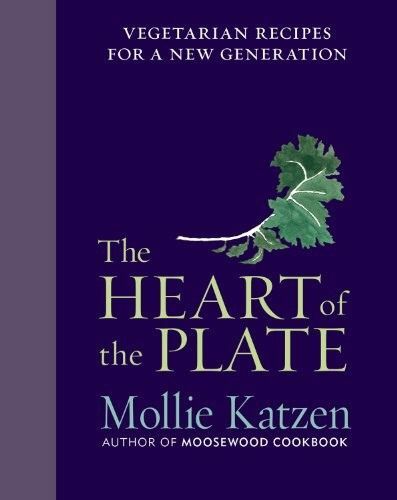 Her latest book, The Heart of the Plate: Vegetarian Recipes for a New Generation, offers a simplified perspective on plant-based meals. We recently chatted with Mollie about how she cooks now, and what she'll be making for Thanksgiving dinner -- read on, vegetable lovers. You wrote The Heart of the Plate for a "new generation". Who are these people? This "new generation" has a number of meanings for me. It's a younger generation, but it's also a new generation of my own. Now, if you come to my house for a meal, it's a joyful piling on of plant food. It doesn't start with "anything but meat". The older vegetarian model of 40 years ago wasn't necessarily about vegetables. It was about replacing the meat on the plate with something convincing. It's hard to picture the world in which the original Moosewood Cookbook was born. You could not find good olive oil in this country. All of the bell peppers were green and bitter. A sweet bell pepper was a rarity, a special treat. You would respect it and use it very judiciously. Now, vegetables are better than ever. Carrots are sweeter! Or at least they can be. So I can now write a recipe, which I have in The Heart of the Plate, for a grated carrot salad with just carrot, olive oil, salt, and pepper. Maybe parsley. My cooking is simpler because I have that carrot, and I have that olive oil, and I didn't have that back then, so I would gussy stuff up. Plus, I think the new generation also refers to the fact that so many people want more plant food. I think -- I hope -- the statement has been made that you can go without meat, at least for a meal. I am not anti-meat -- but I'm very pro-vegetable. 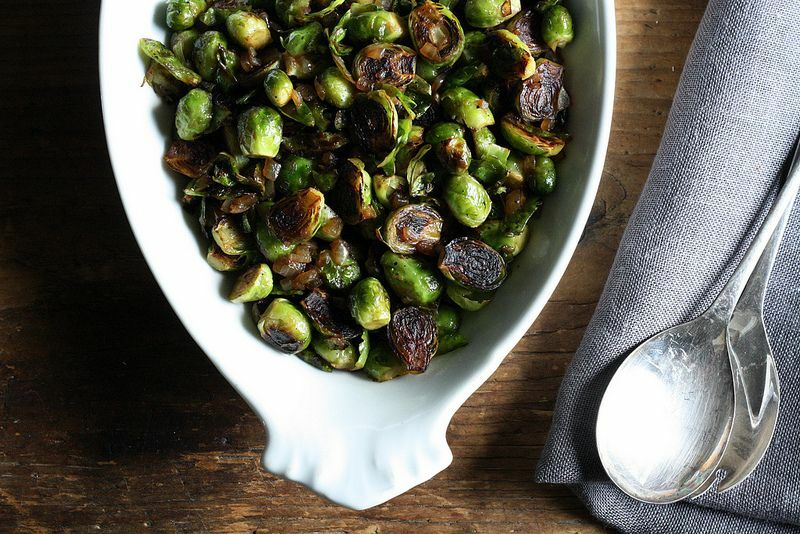 More: Our new favorite way to cook brussels sprouts, inspired by Mollie's "pot-stuck" method. How has living in Berkeley affected the way you cook? I started in the Bay Area, and when I was very young I went to the San Francisco Art Institute. I was working at a restaurant in 1970 that was one of the first places to serve pasta genovese -- spaghetti! International foods were showing up for the first time. There were curried vegetables on the menu. It was almost like that ride, It's a Small World After All. I was very influenced by Mediterranean cuisine because I was interested in international folk culture: music, dance. My friends and I would have parties, and we would serve all those foods: eggplants, bulgur, tomato salads, feta cheese, tabbouleh, hummus. They weren't being served in this country at the time. It was unknown. But I learned about it through this sort of cultural groupie-ism. And a lot of that went into the Moosewood Cookbook. Do you still feel a close tie to your first cookbook? Yes, very much. Next year we're going to reissue it. I have all the originals from the first self-published edition, and we're going to redo it for its 40th anniversary. I feel very close to it -- I never had any thought that it would become famous. It was very small, and I did it for our family and our friends, to standardize the cooking at our restaurant. Customers would ask for recipes, but at the time we didn't really have any. What was your process for pulling the recipes together for this book? It took a lot of planning. I had lots and lots and lists, a lot of sketches -- I do everything through visuals. I'm trying very hard to convey to people that you don't need a big entrée. And it's a hard sell. It's taken me years. And in a vegetarian cookbook, people say "Where's the main dish chapter?" Starting around 1997 when i published Vegetable Heaven it became the bane of my existence -- like "Ugh, I don't want to do a main dish chapter, will the editor accept that?" That's just not how I cook. It's so collaborative, it's so mandala to me. So at the front of the book I list menu ideas, to encourage people to have a more horizontal sense of their plate. What are your go-to Thanksgiving dishes? I have a group of friends, and we always potluck -- we just do the same things every year. And I'm not the side dish person for that -- I'm the pie lady. I make pies for Thanksgiving and Christmas. And I just love making pies. But we all fight over making the vegetable dishes. One guy makes a turkey and barely anyone eats it. I discovered The Moosewood Cookbook in the mid-80's when I stopped eating meat. I'm sure people thought I was an oddball but when I brought home-cooked Moosewood food to work, people loved it. Mollie Katzen is a hero. I'm glad we live under the same sky. Love this. Vegetarian eating has changed so much for the better in just the last 10 years alone, since I stopped eating meat. I agree that the main dish thing can be tough sometimes. I've gotten very used to eating what many omnivores might consider side dishes or collections of side dishes--grain bowls, bean salads, roasted vegetables--and when cooking for a mixed crowd, I definitely do feel a little bit of that pressure to serve that traditional centerpiece dish. Usually, I revert to crowd-pleasers like eggplant parmesan, a big tray of enchiladas, homemade pizza, etc. Love this--especially the concept that vegetarian is a positive thing, in that I choose vegetables more than I don't choose meat (though that will always be important to me). Also, thank goodness the idea of a "main dish" is going away. I recently had a wonderful vegetarian entree at McCrady's in Charleston that consisted of vegetable purees, including a rice polenta, topped with the freshest vegetables and herbs--vegetarian cookery has come a long way! Mollie's new book sounds terrific. Thanks for an informative interview with a Notable Person! Much appreciated. I heard Mollie discuss this new work on NPR- she was so utterly engaging, warm and thoughtful. The interview made me want to buy this immediately and hope she'd become my friend! The B. sprouts look incredible! She's the friendliest. And give the brussels a try -- I've made them no less than five times in the past month! This book sounds amazing. Had heard so many wonderful things about it in a discussion on Facebook. Just ordered my Kindle version and looking forward to reading it. It's awesome! I especially love the fact that there is a chapter dedicated to "cozy mashes." Enjoy!